We've had a huge response to our call for knitters - a big THANK YOU to everyone who registered. We'll let you know when more are needed. Come help us yarn-bomb some more colour into our city! Wanted! Crocheting and knitting volunteers to help Colour Our City. 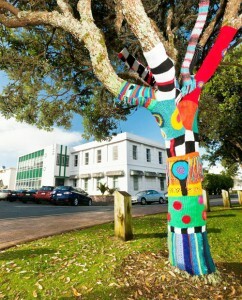 The ‘Colour Our City’ initiative has been given the green light to yarn-bomb the remaining trees in James Street, CBD. As part of the Council’s CBD tidy-up, James Street is being spruced and revived; the intention is to create visual enticement to draw people down to the Arts Precinct at the Town Basin. So the more colour and art the better! The trees are small, so it won’t be a big ask to cover all six with lots of knitted loveliness. Bring your skills with yarn and all other training will be given on the job. Jenny Hill is the project creative director and she welcomes collaboration from colourful and creative minds. All yarn provided and set tasks and loose time frames handed out. Jenny is particularly keen to hear from anyone who can knit or crochet flowers, leaves, eyes, and other shapes, but plain knitters and crocheters are also welcome. More the merrier! Immediate start 🙂 No Resume is required when you register interest for this role! 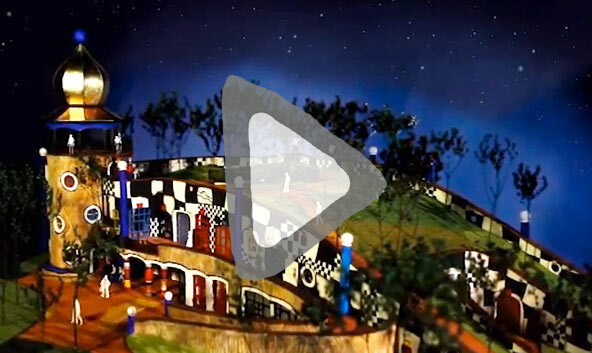 By sending this form you are giving the Hundertwasser Art Centre Project Control Group (PCG) permission to contact you directly about the possibility of joining the project team on a voluntary basis. Sending this form in no way commits you or the PCG to working together, unless we both agree. We will treat all your correspondence with us confidentially. We will never share your personal information with any other parties. We will respond to your communications promptly.